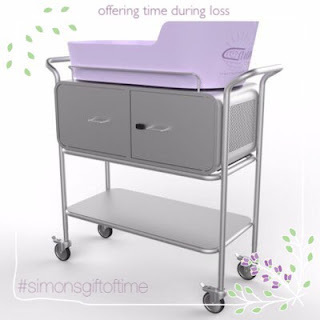 We are in the final stretch of #simonsgiftoftime bereavementcampaign 2018 and we are about $1,400 short of our revised goal for a second bereavement cradle. I am urged to share (again) publicly Simon’s death in an effort to remind friends and family why these bereavement cradles are important. 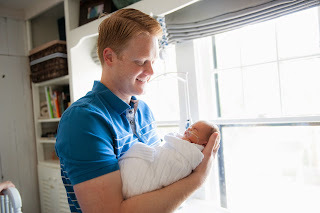 While we were able to bring Simon home, so many families leave the hospital with empty arms. Would you consider donating to serve the bereaved family? Tonight, we will celebrate Simon’s fourth homegoing anniversary. We’ll probably watch his celebration of life video and talk about what it was like to usher our son into the Kingdom. Adam’s been fasting all week so we are looking forward to having a very late meal at 10:17pm – chicken tetrazzini and a glass of champagne. In a world where death is hardly spoken about - though it happens to all of us, I feel compelled to share (again) some intimate moments of Simon's life and death with hopes we each walk more closely with one another when experiencing grief and the death of a loved one. So many have run toward us and supported us and I am so thankful for this. I encourage you to do this for others - even when you don't know what to say, say nothing and just be there when death occurs. 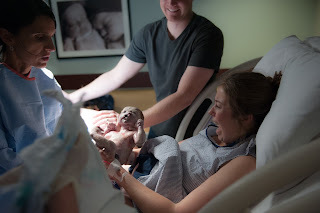 I easily recall the weight of his tiny body in my arms - this feeling is something that will forever be a part of me. I remember his scent well. Adam and I changed every diaper together. While we changed his diaper, we swabbed his mouth and often cleaned his eyes to with a warm washcloth. 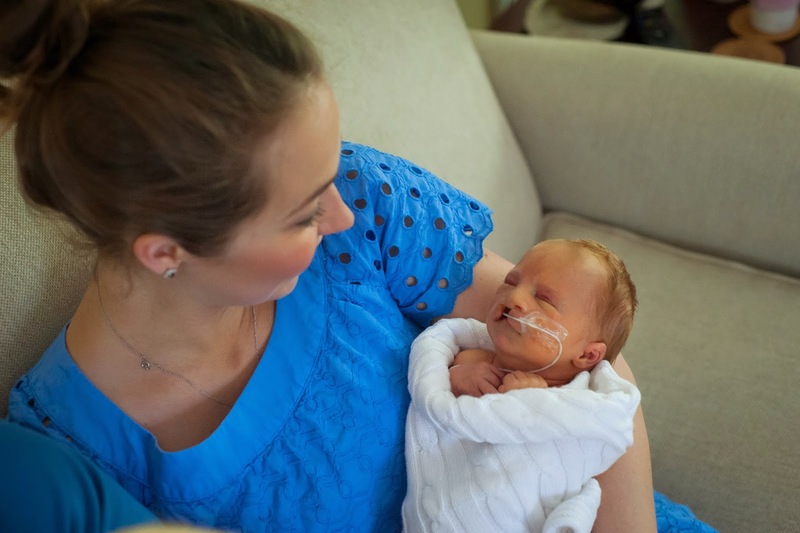 We would check his feeding tube for air bubbles and warm is milk for a feeding tube meal. Adam and I were awake for about eight days straight. We caught naps here and there (thanks to our moms!) but for the most part, we were awake not wanting to miss a moment of Simon's life. The evenings and nights were our favorite time with Simon. Around 8:30/9pm, I'd go to our bedroom and try to catch a few hours of sleep while Adam and Simon had alone time. This time seemed precious to Adam. Simon, like many newborns, had his days and night flipped up-side-down. He was awake from 10pm-2am most nights and he was alert! Adam discovered he loved lights and they spent time standing underneath our overhead lights swaying back-and-forth while Simon enjoyed the light. Around 1:30am I would take my shift which would typically last the rest of the night into the morning. I slept mostly straight up and down holding Simon at an angle in my arms with a mountain of pillows surrounding us. I'd drift off to sleep and often startle awake to see if he had died in my arms. For some reason, I thought he would die when all three of us had drifted off to sleep in our bed. I was okay with that. But that’s not how Simon left us. God gave us exactly seven days plus twenty-two minutes to soak Simon in with our eyes, to love him deeply and to send him home. On his one week birthday we sang "Happy Birthday" to him – me barely able to get the words out of my mouth knowing he was fading right before my eyes – he died 22 minutes later. We read scripture over him. After we sang to him, my mom, who was at our house spending the night, decided to go to the kitchen to do dishes so we could be alone with Simon. I'm unsure how she knew, but she encouraged us to stay downstairs while she cleaned up the kitchen. We were going to go upstairs and get ready for bed with Simon, but decided to stay put on our couch. Around 10:15pm, we could tell the end of Simon’s life was coming – I yelled, “go ahead and go, Simon” and "please take him God" while Adam coached his son one last time saying, “Simon, if you see Jesus, reach for him, grab him.” Adam held him for his very last breath which was quiet and peaceful – and in one big swoop, the room was still and we knew Simon was gone. Agnus Dei played which was completely fitting, given that Agnus Dei means lamb of God - Simon was sweet and innocent just like a lamb, and now he was meeting the true Lamb. The song continued to play and Simon was indeed gone from this earth. Adam fell to his knees over Simon and wept. I’ve never seen my husband collapse like this before and I am certain I never want to see it again. We prayed over Simon and took his sweet, sweet body up to our room to change him into a special outfit we had chosen to have him cremated in. It looked very similar to the one he wore nearly daily. We changed him, reswaddled him and placed him in his bassinet to sleep for the night. We knew we simply needed to be with Simon for a little while longer - we needed time to let his death become final and real. Adam and I didn’t talk much about our plan – we just laid him down in his bed for a final rest in our home. We slept and actually slept pretty hard because we had not slept in over a week. I awoke, cried and remember wishing I had spent another sleepless night holding Simon. I walked across our bedroom to look at our boy, honestly, I was a little worried about what my eyes might see. I saw nothing but Simon's body knowing he was in full glory. I’m thankful we kept him overnight. It was so important to see his body fully fade before calling hospice and our funeral director. I didn’t realize it at the time, but I needed to know that he was truly gone from this earth prior to letting his body go – something that the Bereavement Cradles we fundraise for provide for families. Teddy woke up and I recall both Adam and me walking into his room that morning. Teddy moved forward, business as usual, as he should. It actually felt pretty good to have something feel normal on a day that was so uncharted. Oh what happiness you bring to us, Teddy. Thank you my sweet boy. After breakfast we called hospice to let them know we had said goodbye to Simon the night before and that we were ready for them to come to our house. They arrived around 11am or so. I rubbed Simon's lotion on his forehead and then kissed his sweet head. I hate death. Adam carried him out of our bedroom, down our staircase and out of our front door. Adam has said many times this was the hardest thing he’s ever done in his life. With me by his side, Adam walked Simon out of our front door on May 22 around 11:30am to say our final goodbye - I now prefer to think of it as a "see you soon!" Simon was swaddled with a little KU sock monkey, which was a gift from his grandma Mimi. There was a gentleman with a puffy red beard and dark sunglasses in a white van who was taking our son. He assured us he would take care of Simon. I can remember just wanting to scream at the top of my lungs – NOOOOO! He can't go with you and be alone in that van! Give him back! He’s mine! But, I didn’t. Although I think I had every right to. The man pulled away with our son and drove off. We stood with empty arms and hearts - completely and utterly out-of-this-world wrecked. God was with us every step of the way through Simon’s life and especially the days following. He continues to be. We are not forgotten. I felt his Holy presence many times during and after Simon’s life. Through the still of the room after Simon was gone. Through Teddy waking on May 22 conducting a business as usual sort of day. Through the mere fact that my knees didn’t buckle and I completely lose it in front of our house on May 22 saying goodbye to Simon’s earthly body. Through Teddy swinging and playing with his dump truck in the backyard after we reentered our home with empty arms. And through the wind as it wrapped around my shoulders whispering God’s goodness and through both scripture and my mind reminding me, it will be okay, you will see him again. Death where is your sting (1 Cor 15:55-57)? Well, I promise you, death does sting and hurts like hell and will continue to likely for the rest of my life. But the sting won't last because of Christs' great sacrifice for you and for me. Jesus is victorious over death - we can be too. I cling tight to the hope and promise of Heaven where one day all things will be made new and set right by our Creator. Until then, we do our best on this earth to experience heaven here. Adam, I tell you that you are my hero and I am not kidding. You are. Thank you for bravely holding and ushering our son into Jesus' arms straight from your arms. I was really scared to do that and I am thankful you had the honor. I brought him in, you ushered him out. How beautiful. How complete.